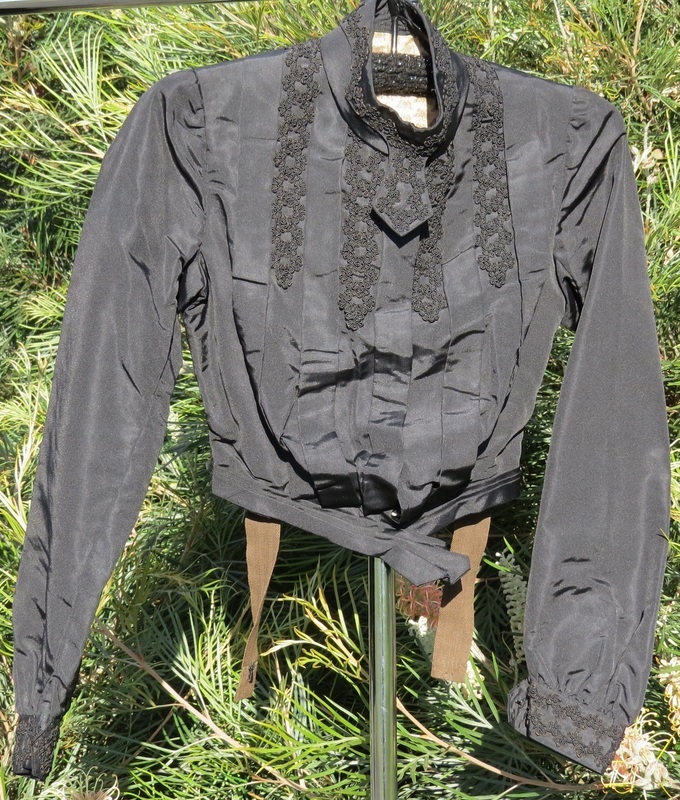 EDWARDIAN AND LATE VICTORIAN XXS 2: separates. Because no two whites are the same, we suggest pairing a white with a colour. Esh1 black. Late Victorian. Lined and boned. Winter or mid-season. B 84 (should be worn loose), W 58.5, length 39cm, circumference of collar 33cm, sleeve length 43cm from underarm to cuff. Pigeon-breast style. Rental $55, deposit $75, purchase $130. Esh2 tissue silk, very fine. French, turn of the century. 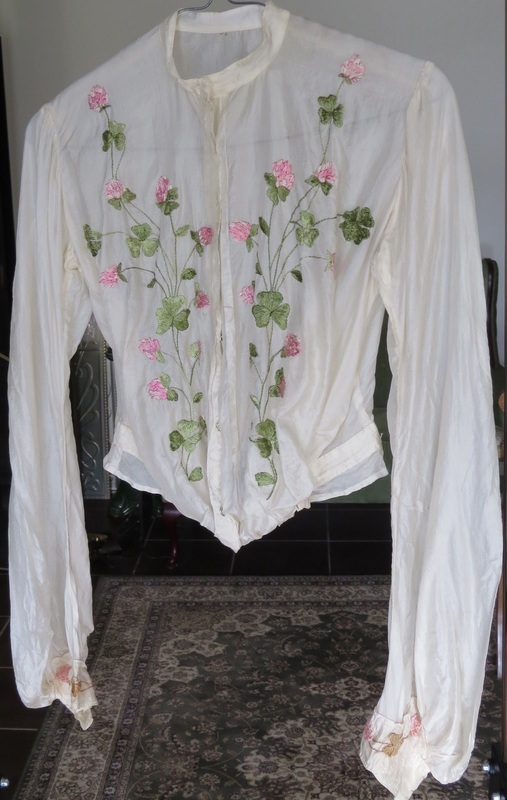 Embroidered cloverleaves on the cuffs are yellow-brown. 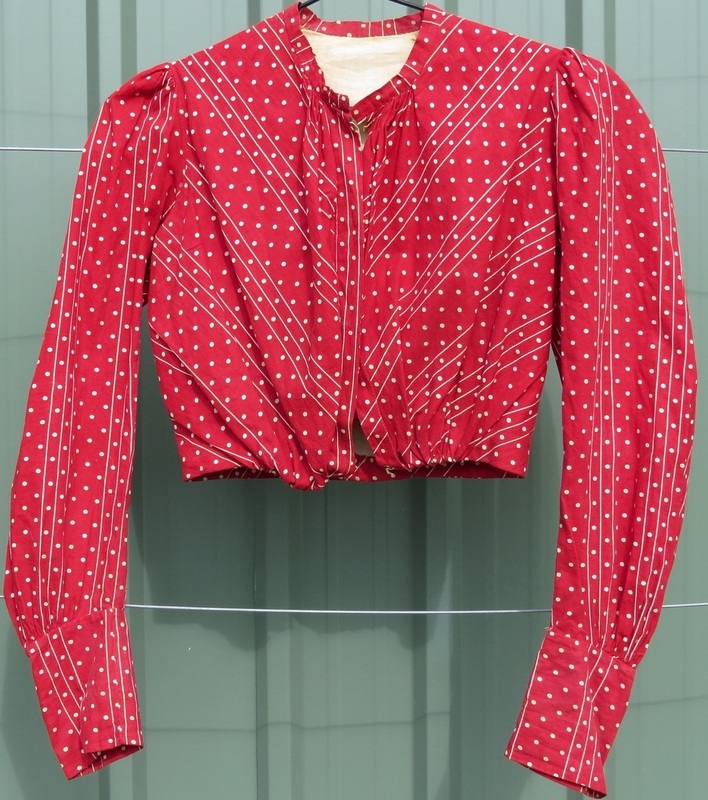 B 91cm (should be worn loose), W 59, length 42, sleeve length 47cm. Purchase $120. Esk1 Waist 56cm. Cream silk. Rental $40, deposit $50. Not for sale. Esh3 XXS or child's. Victorian 1880s. Probably cotton. Lined. Purchase $110.